ADB’s Trade Finance Program (TFP) has announced that Can Sutken will join the team as Relationship Manager for Vietnam, Indonesia and the Pacific. Can has a wealth of experience in trade finance and in relationship management. Prior to joining ADB, he held various positions at Citibank in Turkey and the United Kingdom, most recently as Head of Financial Institutions Risk Distribution for Europe, CIS, Middle East, Pakistan, Turkey, Caucasia and Africa (EMEA). Prior to that Can worked as Trade Product Manager at Citi Turkey covering Financial Institutions as well as Multinational and Local Corporates. Can is a national of Turkey. He earned his MBA and Bachelor’s in International Relations from Middle East Technical University in Ankara in 2005 and 2003, respectively. Why did you join ADB and what are you most excited about when joining? CS: I had the chance to cooperate with ADB in my previous role as a TFP confirming bank and that helped me to understand the organization and the opportunities providing to support financial institutions in ADB’s member countries. The ultimate beneficiary of this support is the SMEs via financial institutions, which enable them to grow their business, create employment, and address the $1.5 trillion trade finance gap (according to ADB’s Trade Finance Gap survey). In addition to this ADB TFP provides technical assistance to banks via multiple channels, such as online trainings, internship programs, or various seminars. All these opportunities to support businesses and ultimately real people excited me most about the move. Of course, Asia’s unique culture and the Philippines, along with the new countries that I will cover, eased my decision of moving from London to Manila. What’s happening in Vietnam, Indonesia and the Pacific, and how are SMEs currently being financed? 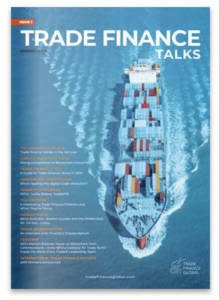 CS: The three markets have different practices in terms of their trade finance business. Vietnam is a fast-growing economy with booming demand for trade finance and UPAS LCs / trade loans are actively used by local banks to finance SMEs in FCY as well as VND. Indonesia is, on the other hand, a developed market, so trade financing is limited by the ample liquidity the local banks currently possess. Countries in the Pacific, on the other hand, often lack the technical knowledge and the FCY capacity to finance SMEs via various trade finance instruments. Most foreign trade is still done in advance payments terms. Tenor extension via trade finance or FCY funding to SMEs to support their trade needs is very limited. CS: In addition to our existing Trade Facilitation Program, which provides either guaranteed or funded trade loans to financial institutions; ADB’s Supply Chain Finance Program (SCFP) offers a big growth opportunity. ADB’s Board of Directors approved $100 million in additional financing to extend and expand the scope of the SCFP earlier this year, helping more small and medium-sized enterprises (SMEs) in Asia and the Pacific address financing gaps and boost their contribution to the region’s economic growth and development. The expansion allows ADB to take bolder initiatives, such as working with local banks and increasing the use of technology to close financing gaps for SMEs. The expansion will also support ADB’s plans to diversify the reach and impact of its supply chain finance business to more challenging markets, which have the largest trade financing gaps relative to size. SMEs have an important role in helping close the global trade finance gap, with 40% of this gap coming from the Asia and Pacific region and 74% of rejected trade finance transactions coming from SMEs. This is exacerbated by the fact that traditional financial institutions deem SMEs as a higher risk segment that incurs higher transaction costs, justifying the need for program’s like SCFP to fill the gaps. Supply chain finance represents a different way of assessing SME risk. Rather than focusing on balance sheets and collateral, which tend to be weak at SMEs, supply chain finance focuses on the history of performance, longevity, and nature of relationships within a supply chain. The SCFP reflects ADB’s confidence that widespread adoption of this different approach to SME risk assessment could have a meaningful impact on the financing gap. How is trade and supply chain finance changing, and how is ADB positioning themselves to adapt to this? CS: In the annual ADB Trade Finance Gaps, Growth and Jobs Survey, we expected to find the 500+ surveyed banks and 1,300+ firms reporting significant changes in the trade finance ecosystem. What ADB researchers found instead suggests that while trade and finance are changing dramatically, trade finance is shifting more slowly, and we are trying ADB to help to catalyze this shift quicker. Asia and the Pacific accounts for 40% of the global gap. In part, this reflects the high dependence of our region on traditional documentary credits. But it also underscores the difficulties presented by the last few years of banks shedding correspondent relationships in less profitable corridors. Lack of trade finance resulting in foregone trade may eventually lead to foregone jobs: our analysis shows that a 10% decline in trade finance is associated with a 1% decrease in SME employment. Both banks and firms have high expectations that fintech will fill gaps. But questions related to use show a very different picture. In the 2017 survey, only 38% of banks in Asia and the Pacific reported good progress in digitization. And there was no difference between more and less digitalized banks in their rejections of SME trade finance applications. 44% of firms surveyed in 2017 had never heard of fintech. Only about 20% reported using it. Where the goal is to promote SME finance, we need to remember that fintech is not yet eclipsing any part of the financial sector and, importantly, is not having a positive impact on the gap. To reduce financing gaps, it is critical that fintech move forward to address due diligence challenges associated with performance and compliance (financial crimes) risks. At this point ADB has two policy suggestions and partnering up with all stakeholders to address them. First, target the features of SMEs that keep them excluded. This can be done by promoting better firm identification to make all transactions—both informal and digital—visible. A solution to this is the LEI initiative, a globally harmonized numeric identity for all companies. Second, establish digital standards in trade. These standards, both technical and regulatory, would address the inoperability problem that impedes creating metadata. These recommendations require leadership and can only be achieved through a collaborative effort between the public and private sectors, banking, fintech, industry and logistics; for which ADB is working towards. What are your short to medium term plans at ADB? CS: My immediate aim is to continue to increase our support to SMEs via TFP in all markets and continue to provide excellent client service to partner banks with the help of our great team of TFP professionals in middle and back office. In addition to this we will continue to provide technical assistance to our partner banks on themes like compliance, anti-money laundering (AML), environmental and sustainability policy guidelines, and legal entity identifier (LEI). Also, we will be working closely with our local issuing banks to support supply chain finance business and further help SMEs to address the trade finance gap. 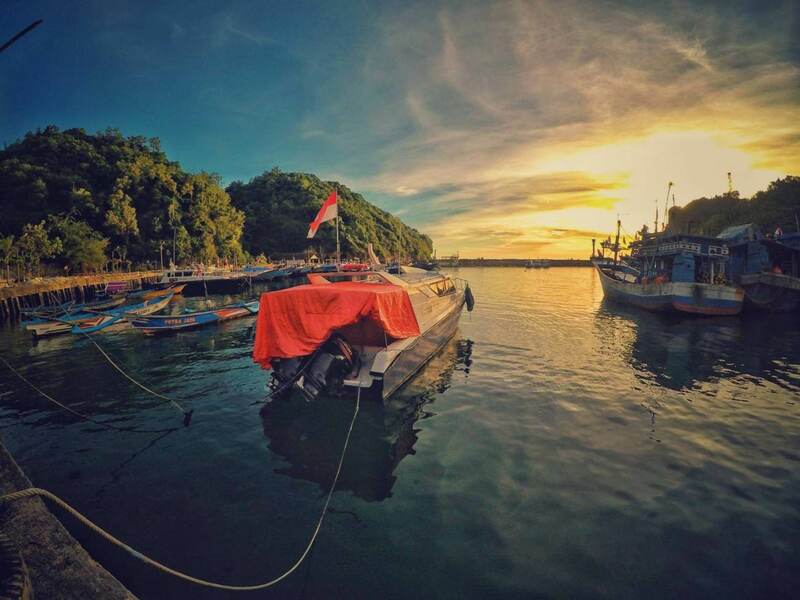 My medium-term aim is to anchor `paperless trade` and blockchain implementations for trade finance in our region.